DeMarcus Cousins On Warriors: "We're The Most Hated Team In Sports"
Home>Sports> DeMarcus Cousins On Warriors: "We're The Most Hated Team In Sports"
“I’m back, and I’m not looking back. I’m moving forward." DeMarcus Cousins will make his season debut for the Golden State Warriors on Friday night, marking his first game since last January when he suffered a torn Achilles as a member of the New Orleans Pelicans. As part of the Q&A, Boogie spoke about why he feels he's better than ever, the advice he has received during his rehab, and his belief that the Warriors a "the most hated team in sports." There was a feeling at the start of this season that the Warriors were gonna be a title favorite regardless, that you needed them more than they needed you. But then the season has gone along and do you think it’s shifted a little? That they might need you at least a little more now, too? You think you’re the most hated team in sports? I would say there’s a lot of people in this country who love to hate the Yankees or the Cowboys. The bottom line is you are getting back on the basketball court. When people hear, “Boogie’s back,” what should they know? In 48 games last season he averaged 25.2 points, 12.9 rebounds and 5.4 assists, 1.6 blocks and 1.6 steals per game, while earning All-Star honors for the fourth straight season. The Warriors, 31-14, are currently sitting atop the Western Conference having won eight of their last 10 games. 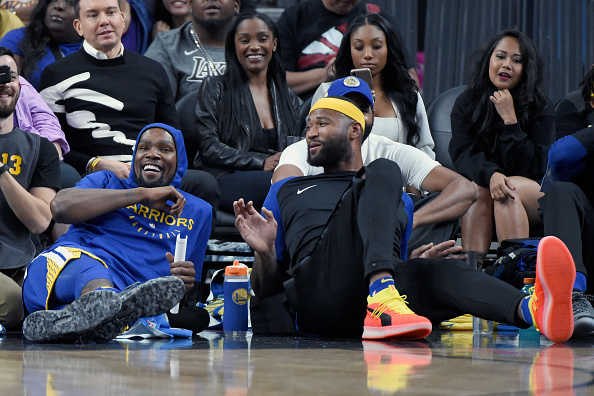 SPORTS DeMarcus Cousins On Warriors: "We're The Most Hated Team In Sports"